Anthropologists are responsible for much of what we know about how ancient societies worked, what they valued, and sometimes even why they fell. They help everyone from governments to advertising agencies to universities to comprehend what's happening now and how to effectively communicate with people. Anthropologists study human beings. They look at our origin, development, and behavior. There are three main types of anthropologists: cultural, physical, and linguistic. A cultural anthropologist studies groups' customs, social structures, and cultures. 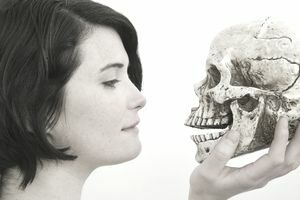 A physical or biological anthropologist does research on the evolution of humans. A linguistic anthropologist specializes in communication among people. Anthropologists work in a variety of settings, including universities, advertising agencies, consulting firms, and corporations. Responsibilities can vary depending upon the sector. Universities: Teach courses at all levels of the curriculum. including an introduction to cultural anthropology and required theory courses for the major. Conduct research with undergraduate students. Advertising agencies: Execute competitive research and audits to fuel insights for clients and project-based work. Market research companies: Act as lead interviewer in gathering of insights, primarily through ethnography, in-depth interviews, and online community moderation. Automobile manufacturers: Design and plan investigations in research and development. Consulting firms: Develop field plans and fieldwork execution, as well as associated reporting. The most highly compensated anthropologists work for the federal government. This occupation requires some significant education, but experience can contribute to hireability, too. Education: Most working anthropologists have at least a master's degree in anthropology. It typically takes two years to earn a master's degree after first spending four years in college earning a bachelor's degree. Most colleges and universities will require that you hold a doctorate if you want to teach. Experience: There aren't many positions available to those who have only a bachelor's degree, but you might be able to find work as a laboratory, field, or research assistant if you have at least a four-year degree. You might also gain experience by doing an internship, which is a must for all entry-level jobs in this field regardless of the degree you hold. You'll need certain qualities and skills to break into and succeed in this field. Communication skills: These skills are required to collaborate on research and present findings. Perseverance: Anthropologists can dedicate several years to working on individual projects. Analytical skills: Anthropologists should also have excellent critical thinking, analytical, and investigative skills. Physical stamina: This occupation can involve hiking and climbing, often carrying equipment. Writing skills: You'll have to be able to prepare concise reports, and to publish your research in academic journals. The U.S. Bureau of Labor Statistics anticipates that job growth in this profession will be limited to about 4 percent from 2016 through 2026, which is slower than average for occupations overall. The BLS foresees fewer research opportunities due to federal budget constraints, although anthropologists will still provide a critical component to market analyzation of various cultural groups. They'll still be necessary to ensure federal compliance of building and construction sites. Research organizations, museums, colleges, universities, and the federal government employ many anthropologists. Some work for local governments and private consulting firms. While many anthropologists perform field work, others spend the majority of their time working in offices and laboratories. Many anthropologists work full-time regular hours, but they often put in long hours and don't adhere to a typical 9-to-5 schedule when they're out in the field. Some similar careers demand less of a commitment to education.